DNS Accountants assist small businesses and contractors in Bedford with accounting, taxation and bookkeeping services. For all businesses that need quality accounting advice, DNS Accountants has the extensive knowledge and technical expertise to help. Our experienced team of accountants offers wide-ranging services for taxation and accounting. DNS Accountants provide tax accounting and accounting technical advice and guidance which helps small businesses to improve the quality of reporting. We understand that for a small business owner in Bedford, the best possible use of time, money and resources is the key to success. Sound accounting is very essential for any business, despite the industrial sector in which the business operates, and DNS Accountants as tax accountants in Bedford help small business in Bedford meet their fiscal goals. We believe in servicing our clients in the best possible way and to do so we mould our strategies depending on the needs of our clients. Our accountants in Bedford bring a fresh viewpoint to complex tax issues arising during the course of business. To identify an accountant who gives a fixed price can be a difficult task for the clients. DNS Accountants in Bedford offer an absolute service package for small businesses in Bedford and modify accounting solutions for each industry depending on their specific accounting needs. DNS Accountants works on a transparency model and our clients in Bedford know exactly what they are being billed for. We make sure our clients understand what steps need to be taken to achieve the business goals.Our services include bookkeeping, CRM solution, auto enrolment, and tax planning etc. Our team is very learned and applies the knowledge skill set to help any business. Constant services – Our team is very passionate about delivering what has been committed to the clients. Our accountants in Bedford always give the best advice for the business. Digital services – Our cloud based one-stop accounting solution has already generated interest with our clients in Bedford and with its quick and easy to use features we are able to give clients a 24x7x365 real-time view of accounting and taxation activities. Value driven services – Our team helps set up the most tax-efficient structure and keeps the business well informed about any changes in the rules. Our accountants in Bedford ensure that, through proper tax guidance and planning, our clients keep their hard-earned cash with themselves and by no means pay more tax. Work flow management – Our accountants in Bedford bring a fresh viewpoint to complex taxation issues and help create an understandable, transparent approach and make sure the business owners in Bedford understand the tax implications. DNS Accountants help clients meet their statutory requirements. The experience of our learned team of chartered accountants in Bedford enables us to tailor the accounts specifically to the clients and the sector in which they operate. Our cost effective taxation accountants in Bedford help individuals and businesses reduce their tax obligations and guide them to pay the right amount of tax which is due. 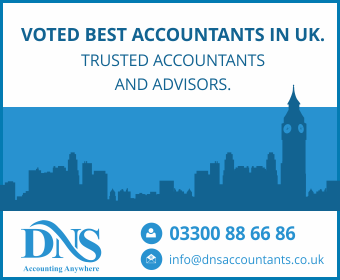 DNS Accountants – chartered accountants in Bedford, provide specialized accountancy and taxation consulting that are adapted to the personal and business needs of freelancers/contractors in Bedford and small-businesses in Bedford. Our cost effective accountancy services in Bedford focus on providing dedicated and professional services to all local businesses and individuals operating in Rushden, Milton Keynes, Bletchley, Luton, Stevenage, and Northampton.